Kent has been a proud member of the community for nearly 5 decades. 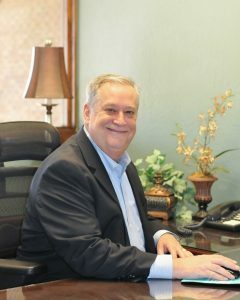 While attending the University of Central Oklahoma, he started a long and successful career in banking in 1976 as a lender. After several years lending, Kent began working for the Federal Deposit Insurance Corporation (FDIC) as a bank examiner. For 20 years, Kent moved up the ranks at the FDIC examining banks all across Oklahoma. He first came to YNB in 2006 as the Executive Vice President at the Peoples location and oversaw lending for the Oklahoma City market. In 2015, Kent became the Chief Lending Officer and relocated to YNB Main in order to oversee lending for the entire bank. Kent also serves on YNB’s Board of Directors. Kent has entensive experience in all types of lending, but specializes in commercial, small business, construction, developement and mortgage lending. Find out how his experience and knowledge can help you secure the financing you need. Contact Kent and experience the difference today!